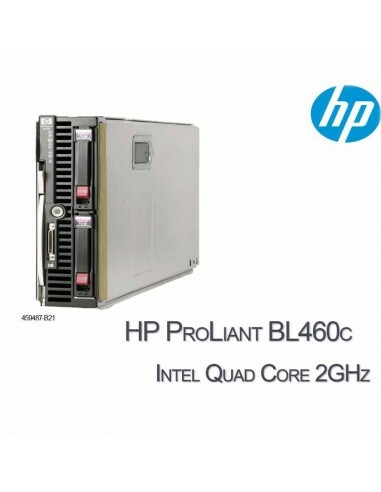 HP offers powerful, reliable server blades with the same trusted features as award-winning HP rack and tower servers. 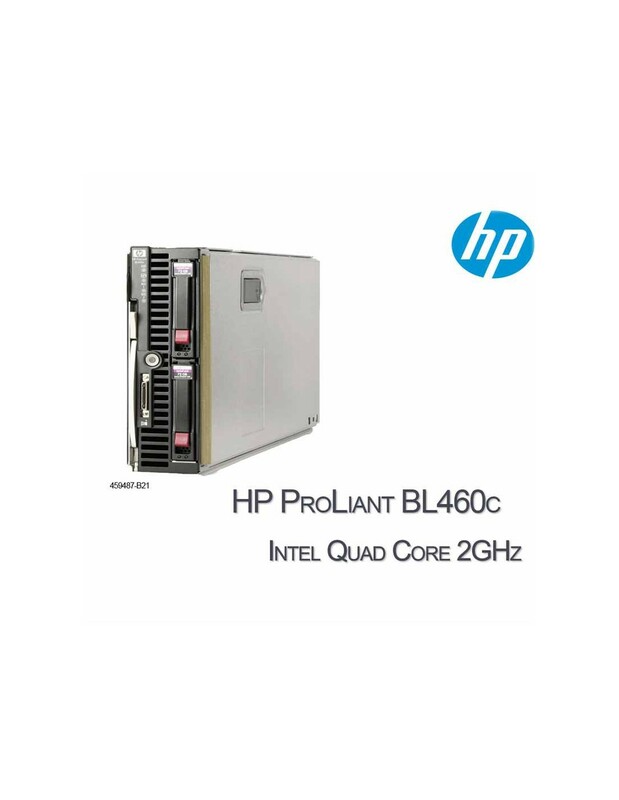 With features equal to standard 1U rack mount servers, the two processor BL460c G1 combines energy efficient compute power and high density with expanded memory and I/O for maximum performance. A balanced architecture featuring multi-core Intel ® Xeon processors with expanded cache, fully buffered DDR2 memory, optional Serial Attached SAS or SATA hard drives, support of Multi-Function NICS and multiple I/O cards, the BL460c G1, provides a performance system ideal for the full range of scale out applications. In this small form factor, the BL460c G1 continues to include more features to ensure high-availability such as optional hot-plug hard drives, mirrored-memory, memory interleaving, embedded RAID capability, and enhanced remote Lights-Out management. Memory: Up to 64 GB of memory, supported by (8) slots of PC2-5300 Fully Buffered DIMMs at 667 MHz. NOTE: 64GB of Memory is supported with 80W processors and below. Not supported with 120W processors; Supporting low-power memory; Advanced ECC memory support; Supporting memory interleaving (2x1); memory mirroring and online spare capacity. Network Controller: Two (2) embedded NC373i Multifunction Gigabit Server Adapters with TCP/IP Offload Engine for Microsoft Windows; One (1) additional 10/100 NIC dedicated to iLO 2 Management.